GoXtra News: Uzalo: SABC 1's thrilling new telenovela bursts on to local television screens! Uzalo: SABC 1's thrilling new telenovela bursts on to local television screens! 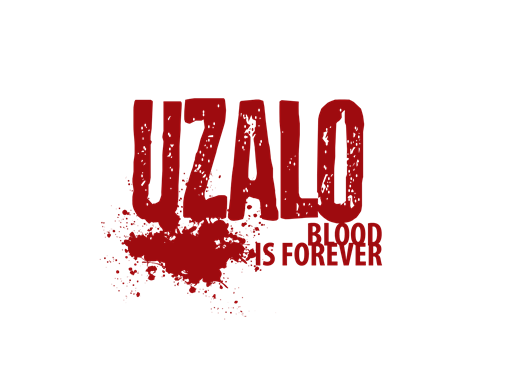 This February, SABC1 launches a gripping new telenovela, UZALO – a drama set and shot entirely in KwaZulu-Natal. UZALO is a provocative, bold and authentic narrative that tells the story of two family dynasties and the two young men who carry their hopes and legacies as they face the complexities of money, family and love. At the heart of the drama’s raison d’etre is the question: in a country with a history as complex and multifaceted as South Africa’s, what are the ties that bind? Is it blood-ties that make up the family unit, or the bonds forged with ‘perfect strangers’ who often become dearer to us? Exploring themes of identity, inheritance and beliefs, a shocking secret revealed on a deathbed kicks off this fast-paced telenovela. Each half-hour long episode, premiering on SABC1 Mzansi Fo Sho at 20:30PM on Monday 9 February, 2015:, delves into the lives of the Mdletshe and the Xulu families who are immersed in contradictory worlds of church and crime respectively. The drama also throws the issues of family ties and loyalties against personal ambition into sharp relief – from loving patriarchs who exert unwelcome influence on their ambitious, young sons, to the tension created amongst family members when one of them decides to pursue their own career goals and reject the family business. Uzalo delves into what makes these ambitious and successful, yet troubled families tick. The Mdletshes are a God-fearing family with its patriarch pastor Melusi Mdletshe (Bheki Mkhwane) presiding over the charismatic Kingdom of Canaan Church and its promising gospel choir. The church gives a strong moral standard that is in direct conflict with the Xulu family, ruled by Muzi Xulu (Mpumelelo Bhulose), which is invested in a life of crime. Adding to the conflict, each set of parents have a firm set of ideas of where their intelligent and driven sons’ careers should be going – much to the youngsters’ chagrin. The inter-family unease co-exists against tensions between the two families, who each represent opposite sides of the moral coin in their community. Linked by an untold secret the families battle for the soul of KwaMashu Township in Durban, KwaZulu-Natal, which provides a perfect backdrop for drama, deceit, and discontent to unravel. An awkward love-triangle and lifelong friendship between the sons of the two families provides an additional dimension of rivalry to the drama. Written by decorated playwright-producer Duma Ndlovu, Uzalo is produced by Gugulethu Ncube and Pepsi Pokane. A refreshing mix of established and emerging talent, the series features the impressive talents of the legendary Leleti Khumalo, who plays the pastor’s wife Zandile Mdletshe, as well as the KwaMashu-born acting giant Bheki Mkhwane in the role of pastor Melusi Mdletshe. The fresh-faced talents of Khumbulani ‘Kay’ Sibiya (playing Ayanda Mdletshe the charming, and ambitious pastor’s son) and Naymaps Maphala (in the role of Mxolisi Xulu who is the apple that has fallen far from the tree, rejecting the seedy world of crime that is his family’s lifeblood) lend much energy to the drama. The series was shot on location in KwaMashu’s F-section with an emphasis on using local talent and the province’s infrastructure to create a true-to-life depiction of KwaZulu-Natal and South Africa in a way that hasn’t been portrayed on local television before. Starting February 9, 2015 every Monday – Wednesday at 20:30PM on SABC1 - Mzansi Fo Sho.